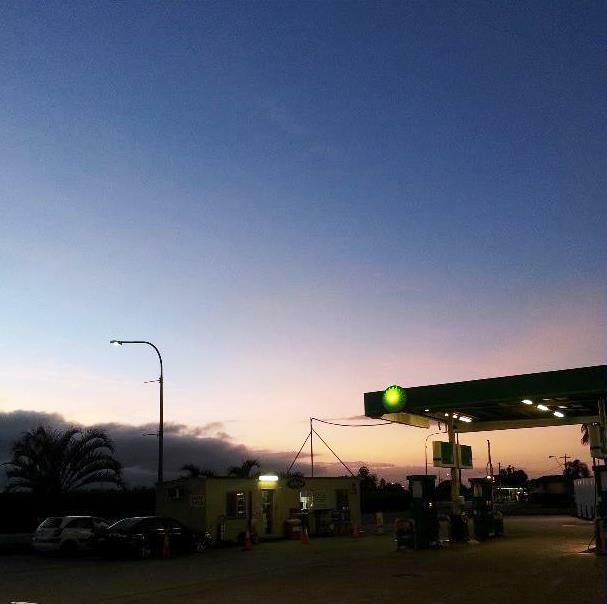 Image from my Instagram, taken at Proserpine BP in the wee hours of Sunday. I have really been enjoying the new limited edition shade #79 Saga from Chanel in their 30% more pigmented release of the Coco Rouge Shines. Love love love! My Amazon order resulted in me being charged $88 more in shipping fees than expected and they are very kindly going to reimburse me for it. Win for Amazon as I will now keep shopping from them rather than disappointingly passing them by. My MUM of all people got the new Benefit Fake Up Concealer a weekend or two ago and I found out this morning, I am so insanely jealous, but very glad as she is in LOVE with it (at age fifty!) and just like me she really dislikes the They’re Real mascara but seeing as my sister loves it it won’t go to waste thankfully. A new plugin I installed to my Tumblr and Instagram via IFTT has meant that any photo I like on Instagram gets published on my tumblr. I did not realize it published photos I liked from private accounts. I have deactivated this now and wanted to apologize publicly for any inconvenience I have caused any of the people I follow. I am absolutely LOVING my lists that I am making online at Inkpad Notepad and on my smartphone using the app – it automatically syncs any changes or new lists as well as using my Google login means it is all in one place and always available. Despite only getting my new BioSculpture gel nails last weekend I am a little obsessed with the stud nail art (look 2, third across in the top row) in this blog post. I am loving reading everyone’s replies to my Liebster Award post – so far I’ve caught up on the responses from Jess and Natalie. Thank you ladies! Today is my fourth last day at my administration job. Despite having over three days of sick leave “built up” I have decided not to do what many would do, and will be rocking up to work on all of my remaining days. The apprentice is too cute not to. I have two weeks of holidays starting this Friday morning, we are going down south to the Brisbane region – visiting Ipswich and Warwick for a weekend each, and three days in between staying at Q1 in Surfers Paradise (where I plan to visit a Blow Dry Bar and catch up with my lovely Claire) and then our last night we will stay in Brisbane. When I get back I have a few days to do a wardrobe cull, catch up with friends who I haven’t seen in ages (working two jobs was time consuming) and applying for another day job. Then I’ll begin working more at Myer to pay my bills. I am craving glorious food for the past hour thanks to RaeView’s instagram photo. All I have is toast, as it’s the last day before payday, so let’s beg Mum to make it tonight! I keep reading how amazing Game of Thrones and many other TV shows are. I think I’ll need to make a “TV wishlist” and work my way through these STAT! Any recc’s? I am just really tired. Serves me right for drinking 2 out of 3 nights of my weekend and getting up at 4AM yesterday morning to travel to a car show. Booking in heaps of pampering for Thursday night. Cannot wait. Also. Will be buying a suitcase ASAP – anyone recommend one over another?